Nothing beats a spot of friendly competition over dinner and drinks, especially if you win! We can’t guarantee your victory, unfortunately, but we can provide the playing field. 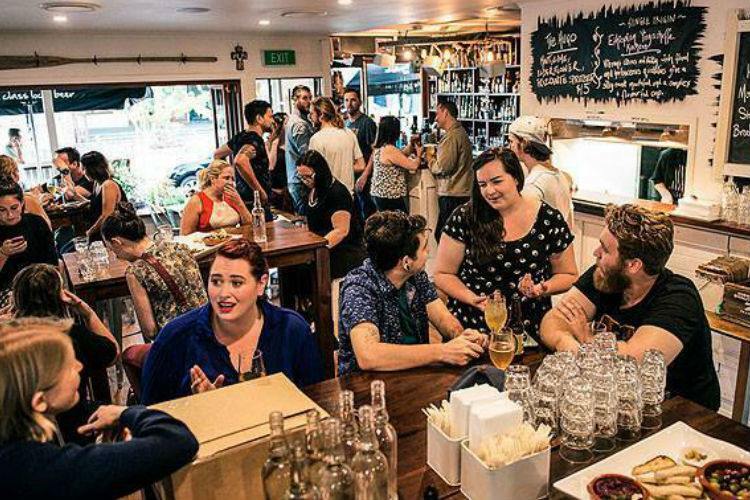 Check out our list of Brisbane’s best pubs and bars with games, and get ready for a great night! Before we delve into the fun times, we do need to say a quick word about Kettle and Tin’s wagyu beef burger. Here it is: YUM. Alright, all deliciousness aside, it’s time for Trivia Tuesday. This is hosted every week by local comedian Sebastian Burns, and offers sweet prizes (including cash) for the winners. Grab your mates, get the beers in and prepare to show off just how smart you are. To be honest, Escobar is worth a visit just for the Haloumi Cigars alone. Those things are obscenely good. The food in general is excellent, actually, and the staff never fail to impress in their dedication to your general happiness. But if you’re looking for a fun time, the entertainment options are plentiful, featuring old favourites like Boggle, Scattegories, Trivial Pursuit, Connect Four, as well as trivia nights on Wednesdays. If there’s one thing better than board games, it’s board games and beer. Luckily, that’s the theme every Tuesday at Dutch Courage, Fortitude’s very own grand palace of sweeping colonial splendour. From 4pm onwards, you can head down for a handle of beer and your choice of board game (including backgammon, Jenga and Battleship), and we reckon it’s the best $7 you’ll ever spend! Did you find fun, flavour and friendship at Club Sosay? Give it a quick review! Have fun getting your game on? Don’t forget to review these lovely bars on True Local!